I have loved eggs for years. Growing up there were a staple in our family. My dad spent years working in construction and he ate eggs almost every morning for breakfast. They were an inexpensive and filling way for him to start his day. He still loves eggs, and they are still his favorite breakfast to eat. Now I serve eggs to my family several times a week. I continue to serve them because they are an inexpensive yet very tasty meal to serve. 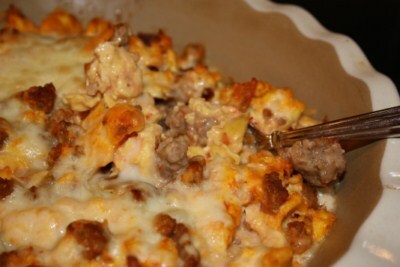 They are quick and easy to cook and make a great breakfast, lunch, or dinner. I have loved reading all your comments on my egg giveaway. I found several new ways to cook eggs, so thank you for all your great comments. There is still time to enter if you have not entered yet. Since we are talking eggs with this week’s giveaway, I thought today, I would not only highlight a few of the tips and recipes that I have on my site for cooking eggs, but share with you some great ideas from around the web. I am going to have to try Amy’s Pizza Omelet sometime, my kids would love them. These bacon, egg, and Cheese cups from Kate would be great to keep in the freezer for busy mornings. My friend Jessica shared her tips for cooking a hard boiled egg, and this almost exactly the same way I do it. If you have a great egg recipe on your site, feel free to leave the link in the comments on this post. I would love to see some of your posts on eggs. Wow thanks, what a great giveaway! I love making egg mcmuffins for fast ready to go breakfast! Yum. I love eggs, so much in fact I have my own chickens! !